Having a hard time getting your child to listen and follow directions? ...and get your child to listen without yelling and nagging! 10 quick and effective methods that develop and improve your toddler's listening skills and cooperative skills. A video and an eBook that will help you get your toddler to listen and make your parenting easier. You can download them for free and keep them forever. Have a look at them and re-read them whenever and where ever you want. As you will gain better understanding in your toddler's development, you will know how to improve your child's listening skills successfully. Tested and effective tactics that Early Years Teachers use every day, and which will save you time and stress. We will discuss what toddlers are able to do in terms of listening and following directions at their age. Then, we are going to talk about the benefits of having good listening skills, and how it will make your parenting so much easier. After that I will give you 10 tips, that will improve your child’s listening skill, so he will listen to you better in the future. Imagine, that your toddler listens to you, and without a tear, he does what you asked him to do. "As I used to work as an Early Years Teacher and Room Leader, I know that all great early years teachers use these tactics to develop toddlers’ listening skills and help them to become more co-operative. These tips I collected for you are proven to be working and I can guarantee you a less stressful parenting. Download this video and eBook now and create a positive change!" I have found the video and eBook 'How to get your toddler to listen Immediately' an easy-to-read and easy-to-use resource. I have started applying several of the suggestions and they are getting me positive results. My 3-year-old little girl needs very little asking to keep her room tidy, or to go home from the playground without any fuss. 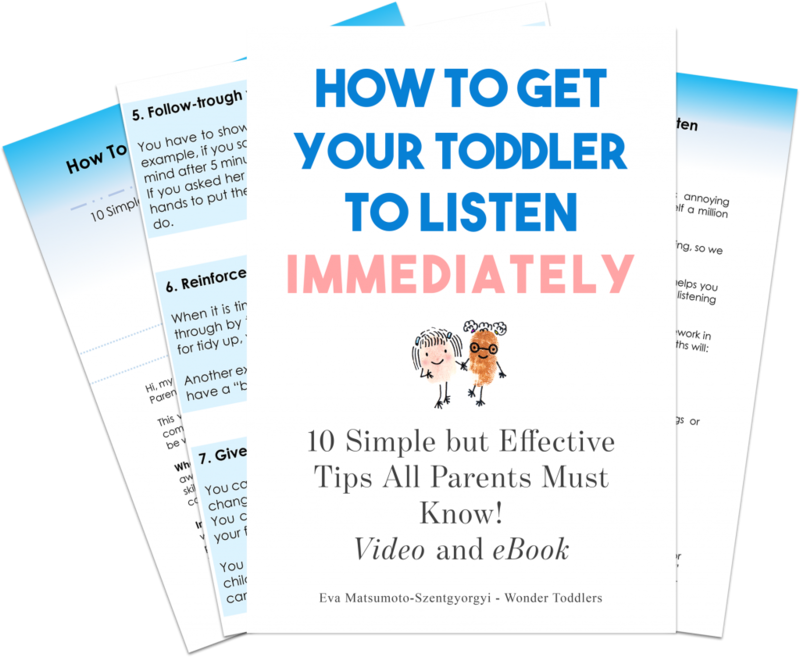 The 'How to get your toddler to listen Immediately' is very simple, easy to follow, and back to basics – love it! I would like to take this chance to say THANK YOU for this video and eBook. It is absolutely full of great ideas which work. It was very helpful in learning different ways to cope with my very energetic and strong-willed 3-year-old! Thanks again very much for your help! Use these 10 quick and effective methods to develop and improve your toddler's listening skills today! Sharpen your toddler's listening skills and make your parenting easier! "I am so happy to finally show you our video and eBook, 'How to get your toddler to listen immediately' as they will definitely help your child to sharpen his listening skills. I used to work as an Early Years Teacher and Room Leader and I know that all great Early Years Teachers use these tactics to develop toddlers' listening skills and help them to become more co-operative. These tips I collected for you are proven to work and I can guarantee you a less stressful parenting!" 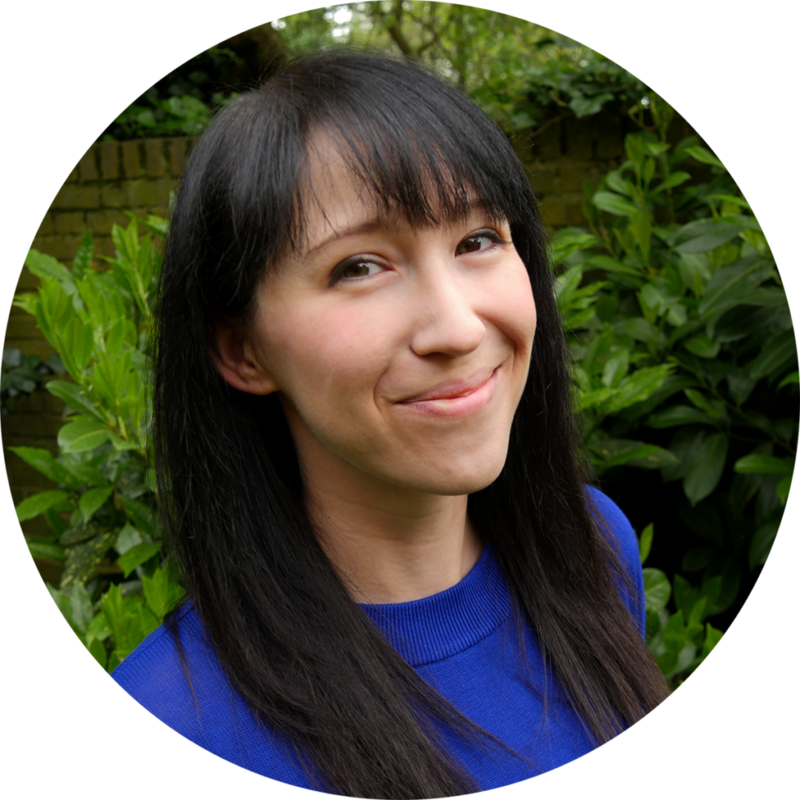 Hi, I am an Early Years and Parenting Consultant, currently living in London with my husband, Keisuke. As a teacher, I realised how little time I have for parents. There was never enough time for a deeper conversation and I felt that I abandon parents with their unsolved problems. Therefore, I decided to create a website dedicated to toddlers and to their parents and open my parenting consultancy. Through blog post, eBooks, video lessons and consultations I share my experience, knowledge and help parents to find solutions to their problems.